← Do Not Let Goodness Fade Away! We are born into this world, we grow up, we get married and we have kids. These are the major milestones of our lives as human beings, at least for most of us. Five years in this rabbit raising hobby, what are the things I treasure most besides the rabbits you might ask. I can only say the people and their friendships. I do have a few friends that I met through this hobby. 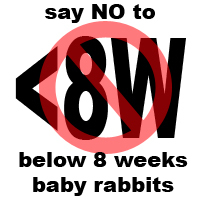 Most of them are people who acquired rabbits from me and others are people who follow my blog. Some of the friends I have known since before I got married and then it was their turn to get married. Then my children came into the picture and so did theirs. Until this day, most of them still have the rabbits they got from me and I am glad we still keep in touch. I also get to visit those who are nearer. And to be able to journey together in life is indeed a wonderful experience. Another Christmas is upon us and soon we will be making new resolutions to usher in year 2013. 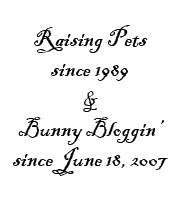 It has been a wonderful 5 years raising rabbits and I will continue to have them as my precious pets. I just want to take this time to congratulate all my friends (you know who you are), who are either getting married or awaiting the birth of their precious child. It feels wonderful to be able to be part of your life’s journey and I pray for a wonderful journey ahead.